Originally written for the Jean Renoir's Collector's Edition released in 2007. Read the full review of that collection here. 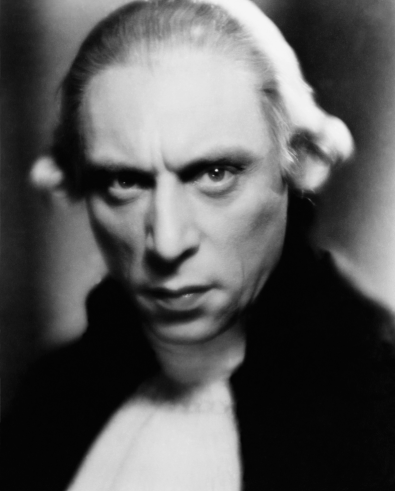 In this early entry from Jean Renoir's sound pictures, the maestro does his part to inspire patriotic fervor and maybe goes a little too far over to the propaganda side. La Marseillaise, an historical epic set during the French revolution, follows a battalion of citizen soldiers--painters, masons, and other working-class warriors--as they gather together to stop aristocratic rule and take down Louis XVI (Pierre Renoir) and his foreign-born queen, Marie Antoinette (Lise Delamare). They march from Marseille to Paris. Along the way, a humble hymn gathers steam to become the anthem of the forces of revolt, and "La Marseillaise" becomes a phenomenon. The script by Renoir, Carl Koch, and N. Martel Dreyfuss often feels more like a string of anecdotes than a wartime narrative. The movie strikes an odd tone, dramatizing the French Revolution as the most polite of wars. Rather than duke it out, combatants stop to discuss philosophy and politics--quite literally. When Honoré Arnaud (the singly named Andrex) leads his ragtag bunch in the takeover of a state fortress, the presiding commander, Saint-Laurent (Aimé Clariond), shrugs and asks his rival what's it all about. Arnaud explains the common man's cause to the rich man before sending him on his way, taking him at his word that he'll leave the country and the battle to the righteous. When there is fighting, it all takes place elsewhere, and we only hear about it later. You get the sense that this whole thing could have been settled over a good glass of wine if the right folks could have just sat down and talked it over. It's a revolution where cross words hurt worse than crossed blades. When a swordfight does break out in Paris, the sky immediately opens up and a sudden rainstorm sends the brawlers scurrying for shelter. Even Mother Nature wags her finger at the prospect of violence when there are more speeches about brotherhood to be made and complex dissertations on the new power structure. Paradoxically, for all the history lessons, I often found myself lost, not knowing who certain historical figures were or what faction was fighting for what rights. I suppose attention to such reality may not be important in a story so broadly drawn. The revolutionaries are all genial, caring men who'd rather stop in on a puppet show than fight, while the rulers are clueless gadabouts who are more concerned with remembering their dance steps than the needs of the people. 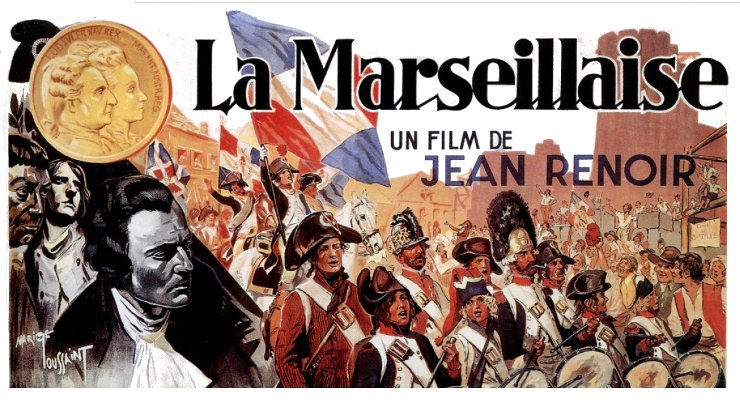 La Marseillaise definitely has a satirical bend, but it doesn't go very deep. Renoir nearly suckerpunches himself with this approach. When the unavoidable is finally encountered in the last fifteen minutes of the picture, his band of merry men look like they've been caught in a joke that's gone too far. Though the people do rally, and it's likely Renoir wanted to show from what humble beginnings great things spring, the brutality of the insurrection is off-kilter with the comic journey that got us there. The end result leaves one feeling a little nauseous and confused rather than fired up.